home Movies, News Want to See “Public Enemies” Pictures? Want to See 400? 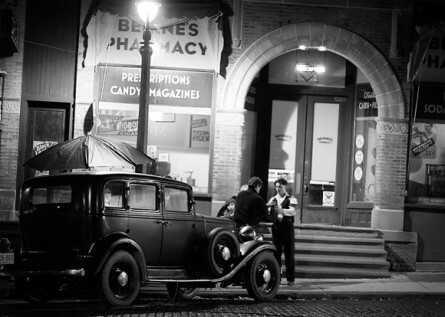 Pictures, some 400 of them, taken behind-the-scenes of Michael Mann’s latest movie, “Public Enemies,” have surfaced on-line. First Showing has taken the liberty of going through them and grabbing the really choice shots. Check them out. There are reports that the movie has already had a couple of sneak peaks for audiences to give their opinion. These pictures could be from re-shoots following those screenings. The movie, starring Christian Bale and Johnny Depp opens July 1st.